Yesterday afternoon I was invited by ‘Stonyfield Yogurt’ to a cooking demonstration with Kate Geagan – award winning registered dietitian and author of ‘Go Green Get Lean: Trim Your Waistline with the Ultimate Low-Carbon Footprint Diet ‘. She is also the Nutrition Contributor for Pregnancy Magazine, where she dishes on the latest health and nutrition info for moms-to-be in her monthly column “Let’s Eat!”. Typically, these events are not life changing. You go. You listen. You eat and then you leave. But Kate told me something that made my ears perk up. I’m not so big on dairy, but my family is. 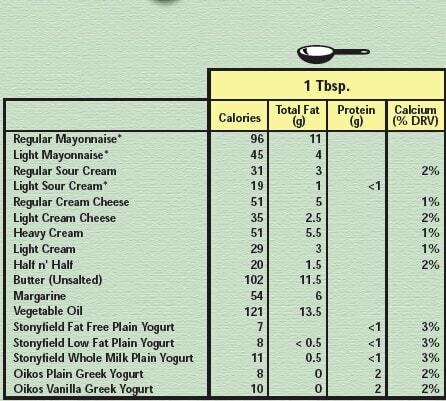 Cream Cheese, Mayonnaise, and Sour Cream can add a TON of calories and fat into a recipe. Kate told me (brace yourself) that you can swap out Greek Yogurt 1:1 for these items to make a healthier version of whatever it is you are cooking. The power of this knowledge is making my head spin. WHY have I not thought of this before?? I don’t understand. My brain just doesn’t work that way. I have to be TOLD things like this are possible. And now that I was told, I have to share it with all of you! 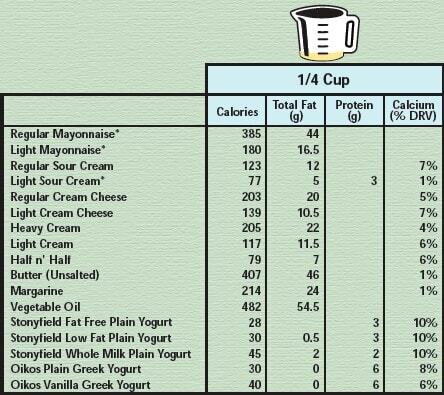 Not only are you saving on fat and calories… but you can ADD protein and calcium to your meal too! I have several recipes that I am going to share over the next fews days for you to try out. They were OH SO GOOD. I also learned about a few new products coming out. 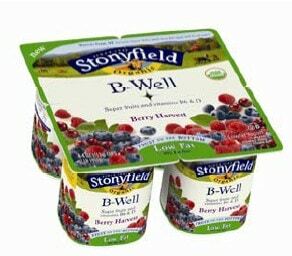 B-Well: Low Fat Berry Harvest fruit on the bottom with antioxidant super fruits and vitamins B6 and D.
B-Healthy: Low Fat Strawberry Acai fruit on the bottom with antioxidant super fruits and vitamins B3, B5, B12 and omega-3. 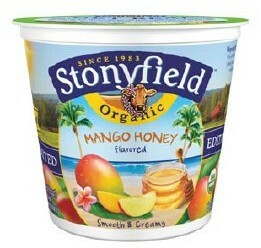 Like all Stonyfield products, B-Healthy and B-Well yogurts are certified organic. They contain a unique blend of six live active cultures that enhance digestive and immune health. They are also kosher and certified gluten-free. 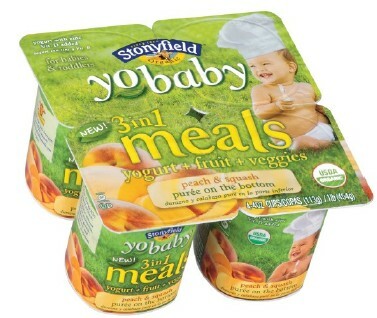 fruits and vegetables and nearly ¼ of a toddler’s daily protein and calcium needs. Yeah,it will very healthy for our body,thank you very much! Vera-it was so fantastic to meet you at DeGustibus this week! Thanks for such a fun blog-I love it and bookmarked it. Let’s keep in touch about the event you’re doing this summer-I will ask Rodale about book donations this week.